Lingk Recipes combine the power of 100X data processing and connectors for integration agility running on the Lingk Platform. Recipes can handle both batch and streaming data - making them perfect for ETL, ELT and real-time sync - to support an infinite number of integration data scenarios. Browse the examples below or read the recipe documentation to learn the power and flexibility of recipes. Design recipes with the Recipe Designer to quickly learn the structure of recipes. Build and edit recipes with the Recipe Editor for maximum integration agility. 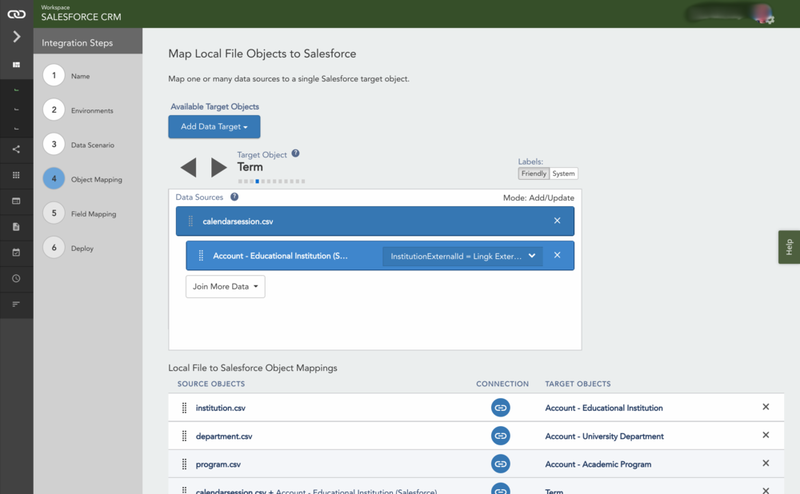 Use the Visual SQL Wizard to automatically generate and run a Flat-file to Salesforce recipe. Recipes are re-usable and can be automated across external and internal environments - saving time and reducing operational risk. Recipe execution can be triggered by date-based schedules or subscribed to API events enabling multiple processing automations and integration patterns. Build your own recipe library of reusable recipe templates that incorporate your business rules, automation, loading, integration and data processing needs. Made it this far and didn't see what you were looking for? Take a look at our connectors and reach out to us with your recipe solution and connector needs.